I have been thinking about making this dish for months now. I was originally inspired by an idea where I was like, “Man, Canelones are SO good. I wish it wasn’t just a Christmas dish. 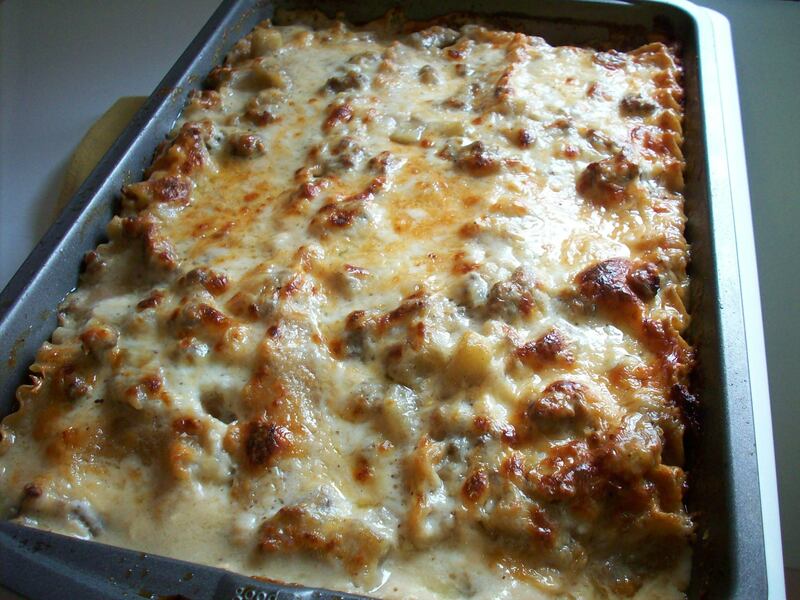 I wish I could make a lasagna version.” Canelones, however, have pate. Pate wouldn’t work in a lasagna, so my next thought was Moussaka. Now that I look back, I think my obsession is bechamel sauce. That’s what I truly wanted to eat. 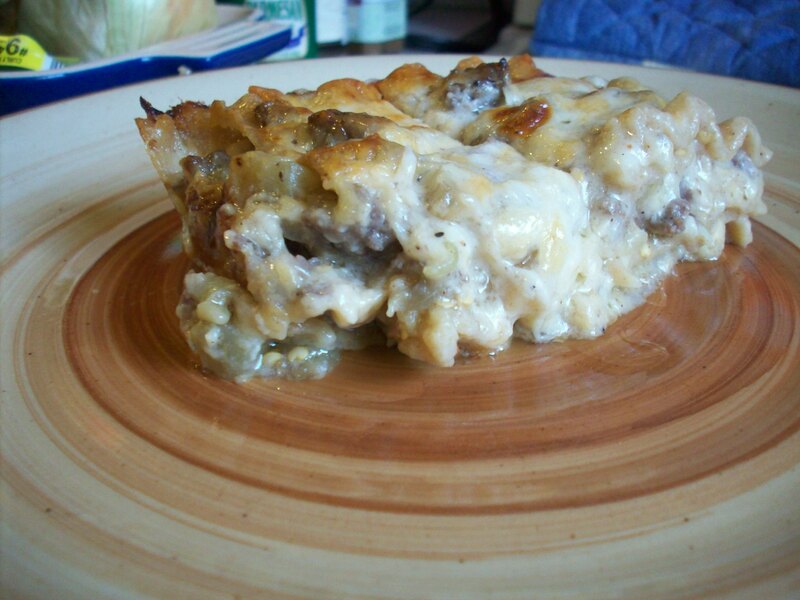 Moussaka traditionally has the eggplant on the first layer, than the ground beef or lamb mix next, than it’s topped by this layer of bechamel made with eggs (so it’s firmer than a sauce). I like this idea, but I also love layers and CHEESE. So, my Moussaka-inspired Lasagna has the same ingredients but is 4 stories tall. I made it with whole wheat pasta to get an element to healthiness. 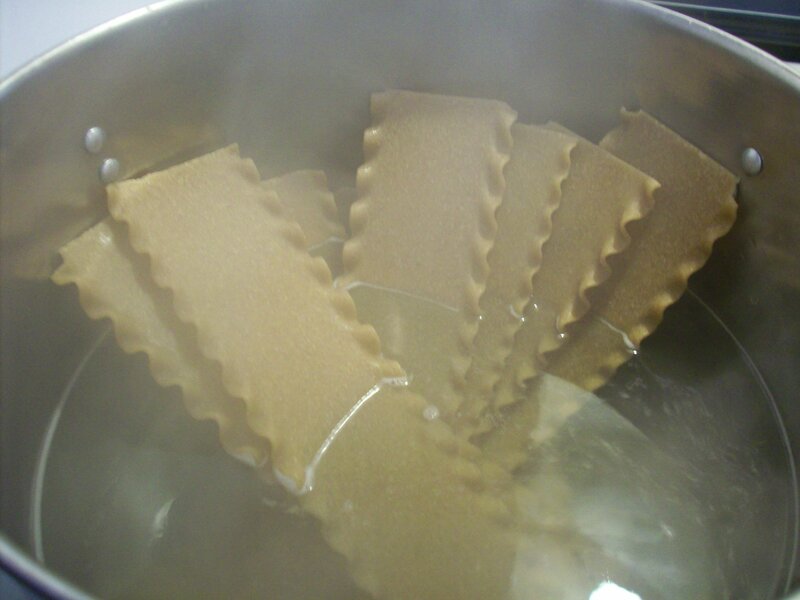 Boil your whole wheat lasagna sheets. Set aside. Make sure they don’t stick together. 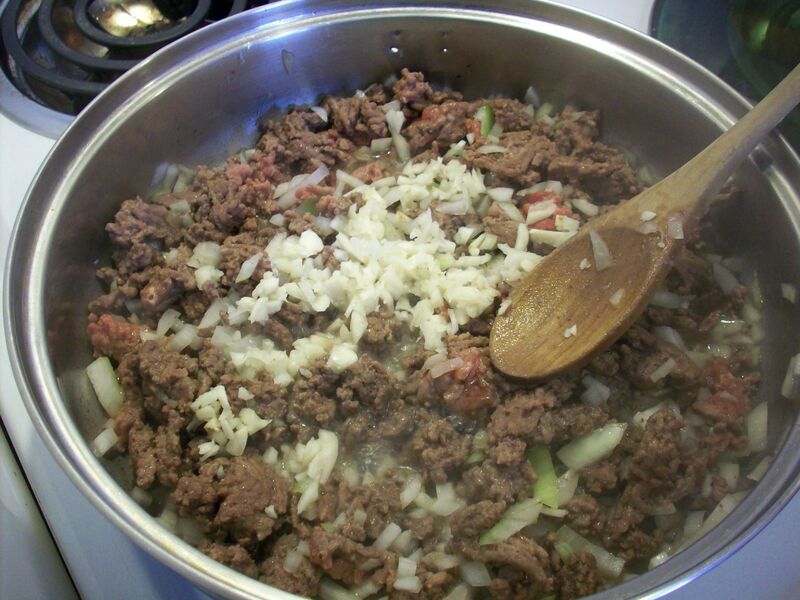 Preheat a saute pan to medium-high, add olive oil and throw in beef. Season with salt and pepper. In the mean time, dice you onions and garlic. Throw it in. 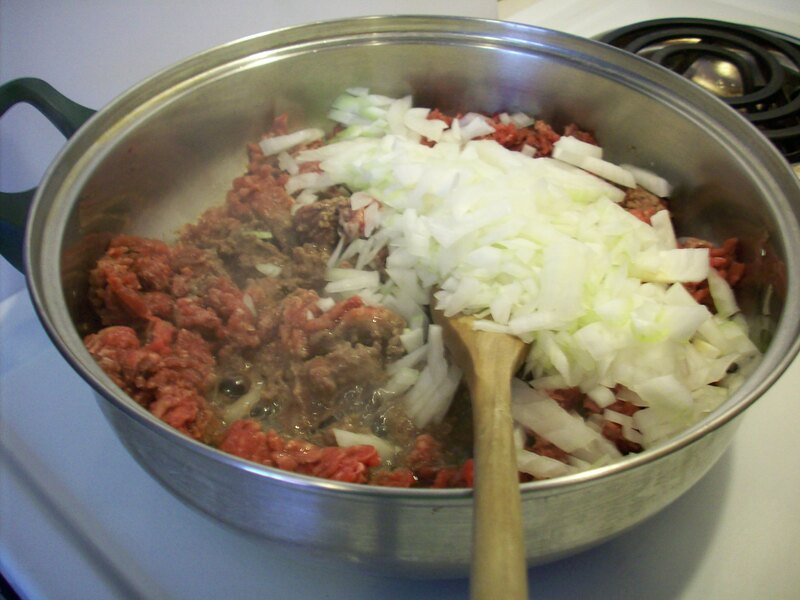 Let the meat, onions and garlic get soft. Break apart large chunks of meat. You want it to have that ground appearance. 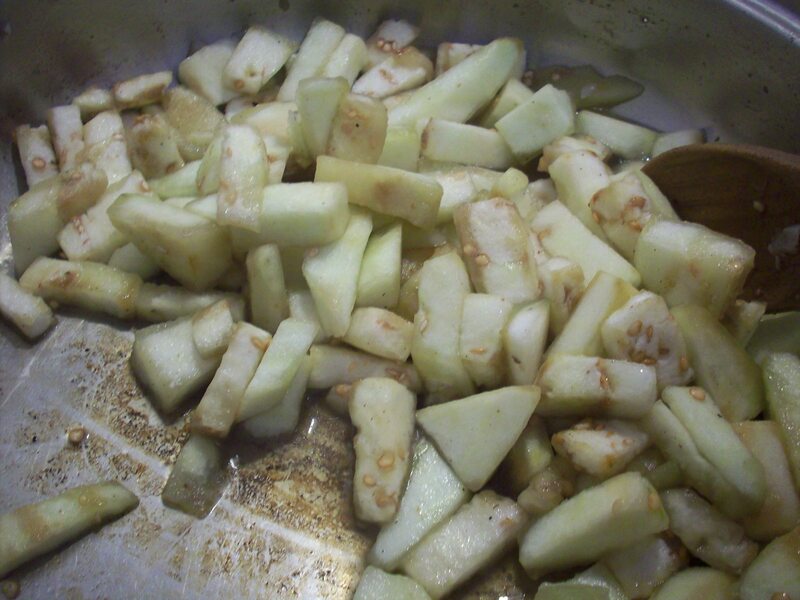 Now, cut up a medium eggplant into small cubes and sautee with a little bit of water, salt and EVOO. Saute it on medium or until it’s softer, but not mush. Begin your bechamel in the mean time. 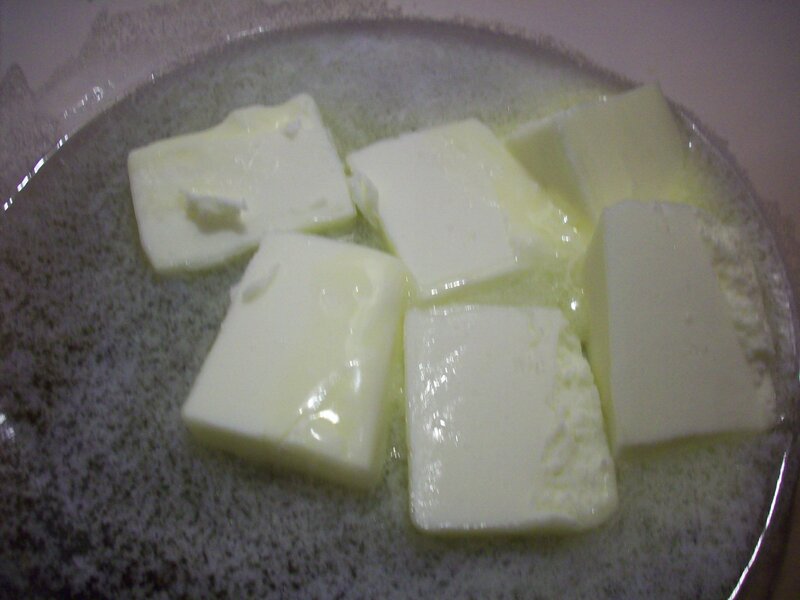 Place 1/2 cup unsalted butter in the sauce pan and let it melt. 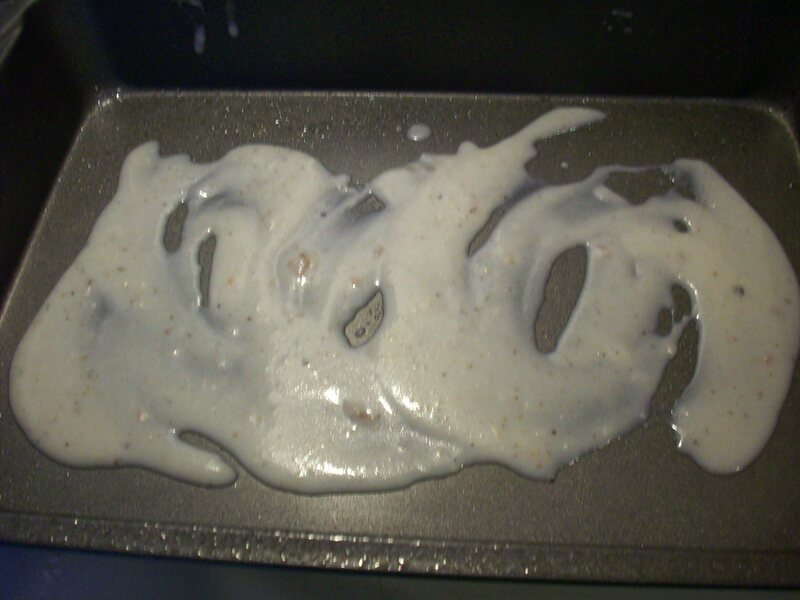 After it is all melted, but before it turns brown, add the flour. The flour might sizzle for a second. Cook for about 1 minute. 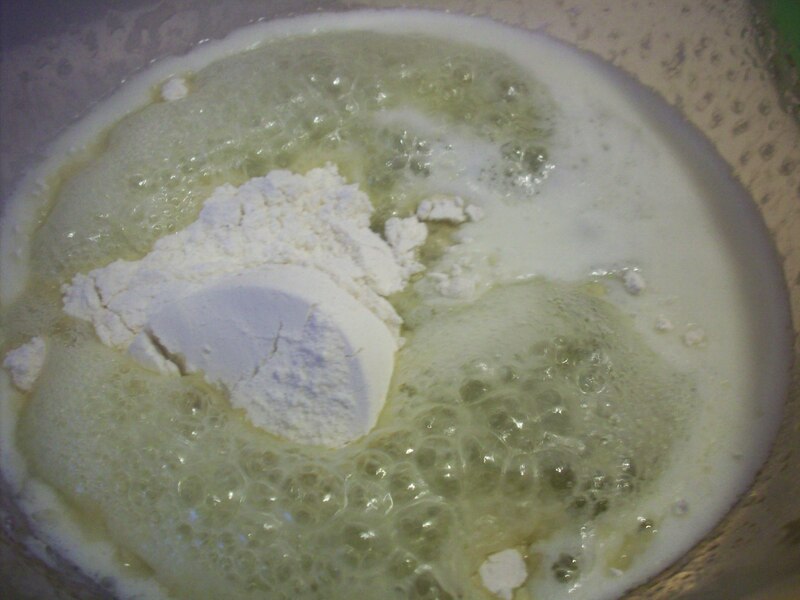 Add 3 cups of milk. Stir well and bring to a boil. 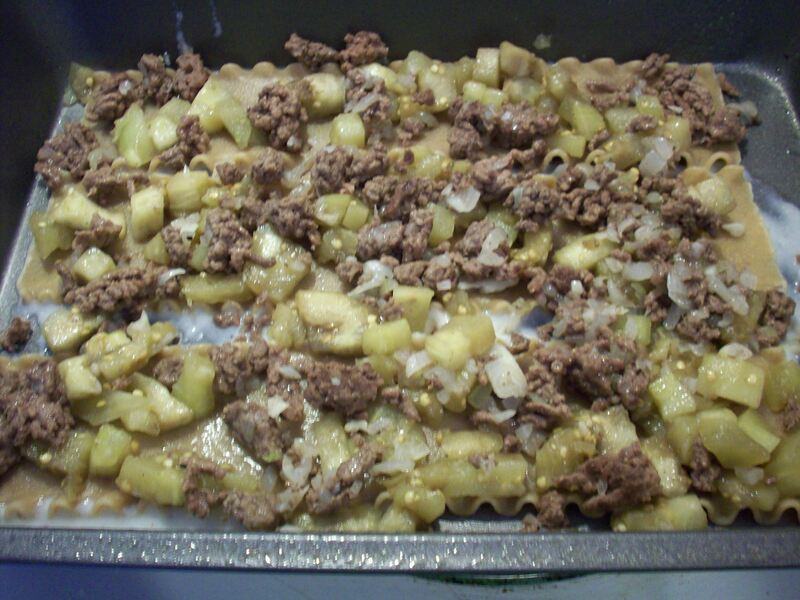 Add in 2 teaspoons of nutmeg and 1/2 cup of finely shredded parmesan. 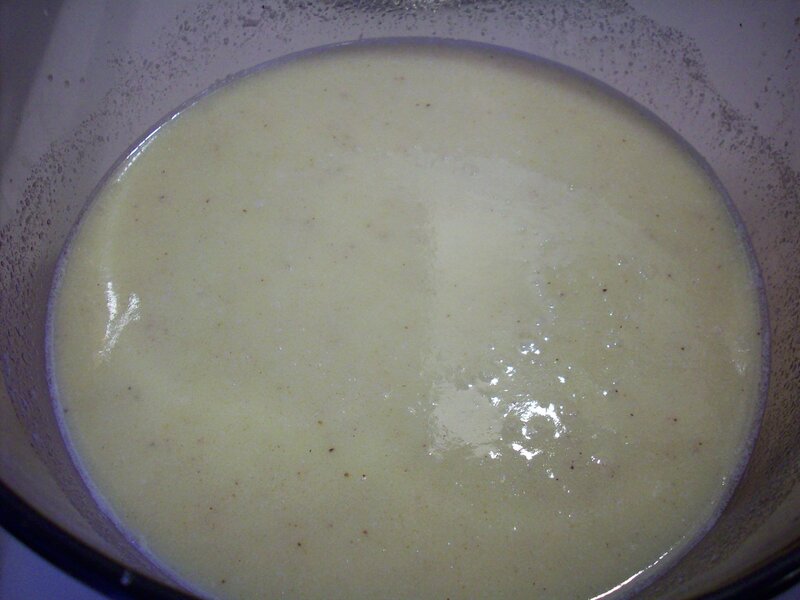 Remove from heat and continue stirring. Now, we build. First, pour a little bit of sauce on the bottom of your 9 x 13 (about 1/2 cup). 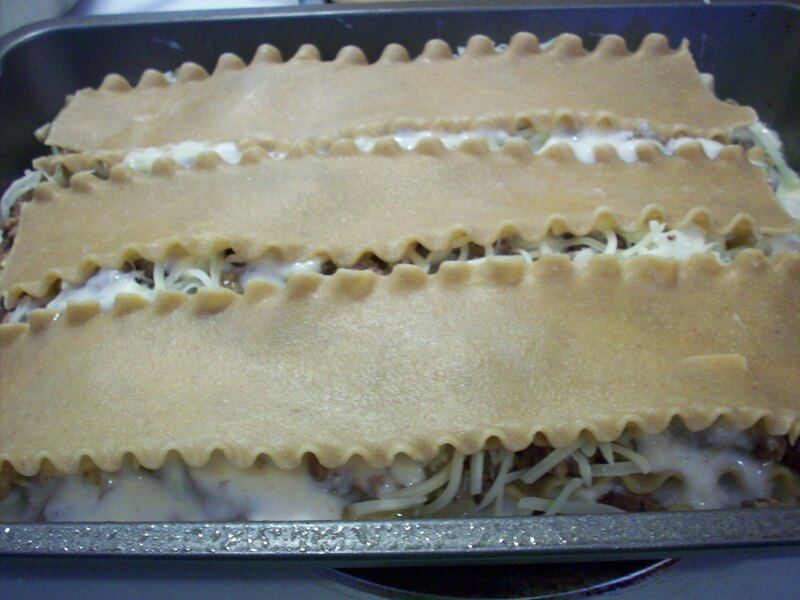 Add 3 lasagna sheets. 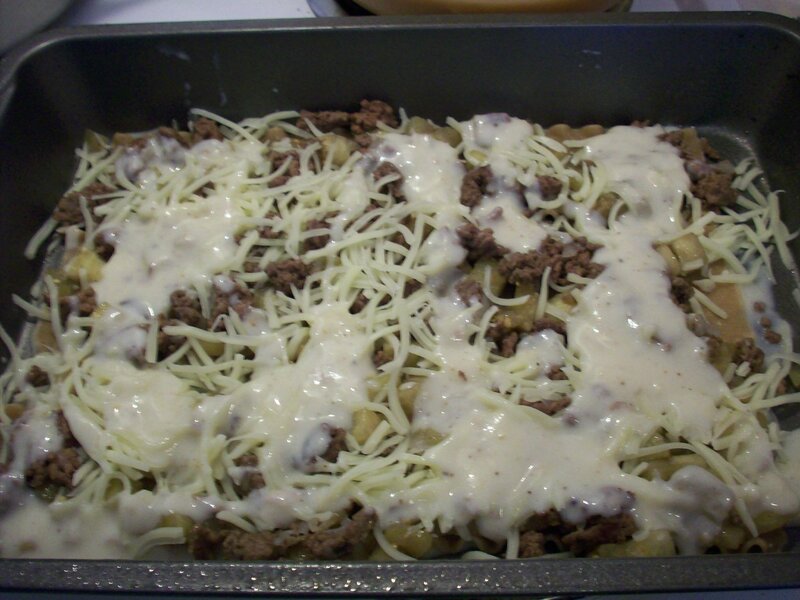 Pour on some eggplant, some beef, a couple of scoops of bechamel and 1/2 cup of mozzarella cheese. Continue, IN THAT ORDER, until you run out of ingredients. 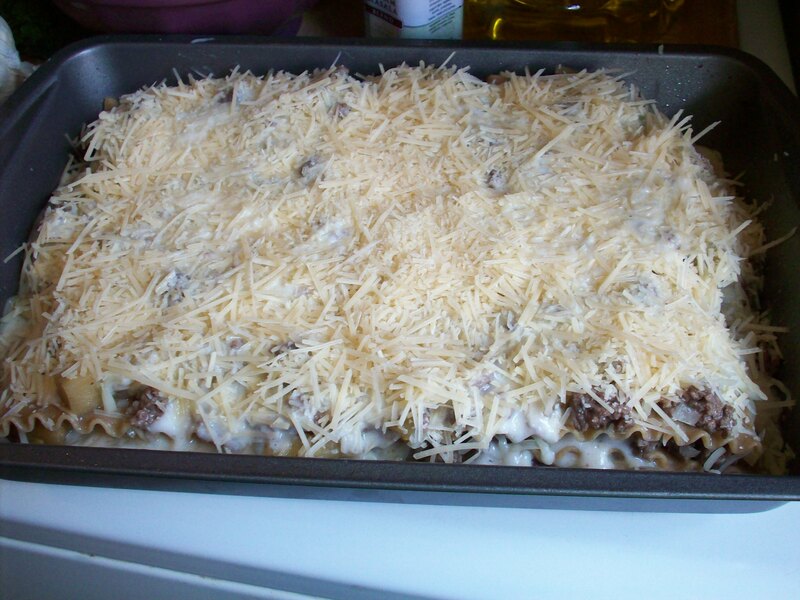 On the last layer, do the beef, eggplant, mozz and sauce and ADDITIONALLY add the remaining parmesan cheese (almost the whole pack) on top and cover the whole lasagna. Stick 3 toothpicks standing up in the middle of the lasagna and cover it in foil. The toothpicks are there so the foil doesn’t stick to the cheese. Bake covered in this way for about 30-40 minutes. When you’re ready to get the cheese on top toasty, uncover the lasagna by removing the foil and broil (WATCHING VERY CLOSELY). 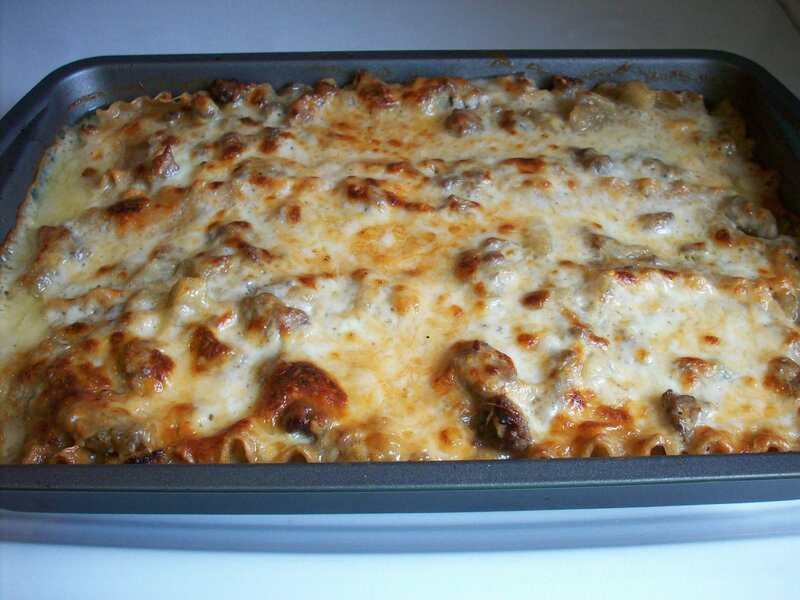 Serving suggestion is to get 18 pieces of lasagna out of a 13×9 pan. From left to right, cut 6 columns and from top to bottom, cut 3 rows. If you do this, each piece is only 6 WW points. 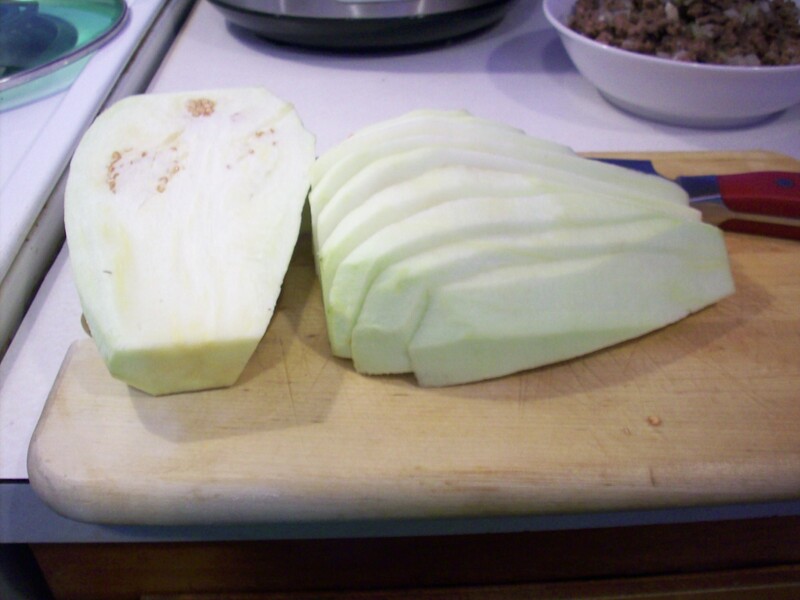 The picture of the serving above (at the top) is actually 2 pieces.